Opened in Spring 2013 the new café in the Museo Correr, overlooking one of the most spectacular views of Venice on St. Mark’s Square, is now an ideal place to meet people. 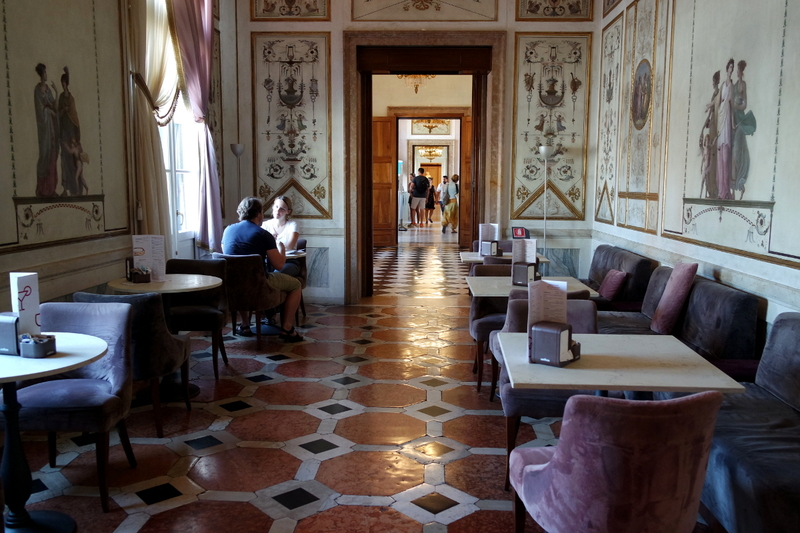 Located on the first floor of the Royal Palace of Venice, in the reception area adjacent to the bookshop and the museum ticket office, the cafeteria is now open also to non-visitors, with the opening hours of the museum. 135 square meters in size, with furnishings inspired by the Empire style and richly decorated walls, its grotesques recall the atmosphere of the Imperial Apartments of the Royal Palace in Venice. The café seats up to 60 people with tables and comfortable small armchairs, making it an ideal place to relax after a visit to the Museum, but also a meeting point in the heart of Venice, with a unique view of the beautiful Church of San Marco. It is an authentic “living room” in Venice, now available not only for Civic Museum visitors, but also to all the citizens and tourists visiting the City, for a pleasant stay, a tasty Italian coffee, a lunch break in the sign of art. The new cafeteria of the Museo Correr, managed by Ristòart, therefore becomes an ideal meeting place, in a welcoming environment where you can enjoy a pleasant break in one of the most representative places of the city. 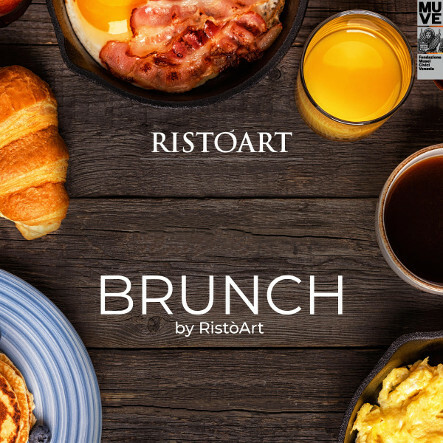 Ristòart Café: the new restaurant and hospitality brand established by Casinò di Venezia Meeting & Dining Services to best welcome museum visitors. The brand manages Palazzo Ducale, Museo Correr, Museo Ca’ Rezzonico and Ca’ Pesaro cafes. All locations, except for Palazzo Ducale, are available to welcome also the public without the museum ticket. Our locations offer a careful gastronomic selection created with the intention of guaranteeing the best of “Made in Italy, winking at the Venetian tradition” with hot and cold dishes, international salads and a wide variety of snacks inspired by the most famous Venetian artists of all time such as Tintoretto, Veronese and Titian. In order to best meet all needs, we have a special selection of food for celiac, vegetarian and vegan guests. To complete the enogastronomic experience, has been also created a special beverage offer including a selection of local wines and quality beers, under the heading of Food Pairing. Our offer could not come without the “Brunch at Museo Correr” every first and third Sunday of the month, with a breathtaking view on Saint Mark’s Basilica, in order to guarantee an international offer and a smart service both to Museum and City visitors. In our cafes you can fond a selection of international newspapers to always keep up-to-date on the home country; for the youngest ones, the museum experience will be even more fun by playing and colouring with a special kit; finally, for adults, besides the excellent gastronomy, a musical selection will help to relax and create the right atmosphere for an artistic break.